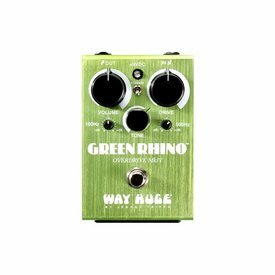 The Green Rhino™ Overdrive Mark IV is smaller and more compact than its ancestors, but it has more force than ever behind its mighty charge. 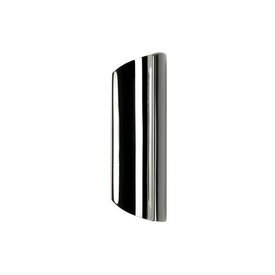 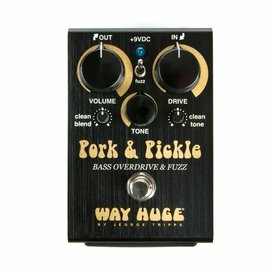 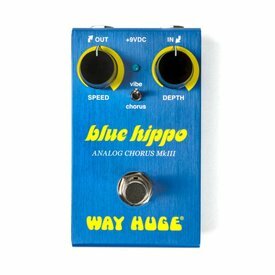 The most sought after and corpulent Way Huge pedal is back! 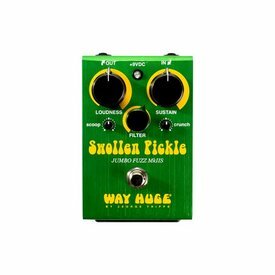 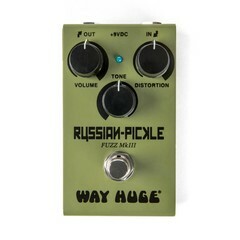 The Swollen Pickle MkII surrenders super high-gain fuzz with copious amounts of smooth low-end to all who dare plug into it. 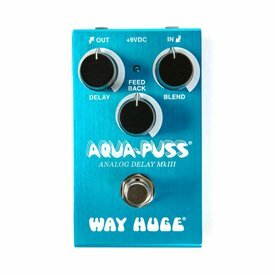 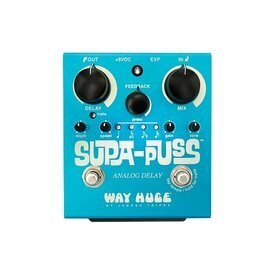 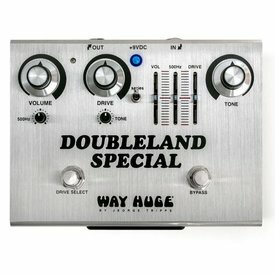 The Way Huge® Supa-Puss™ Analog Delay was designed by delay master Jeorge Tripps for exploring the farthest reaches of true analog delay potential, featuring an eternity of delay time and fine control over numerous parameters of your delay signal.